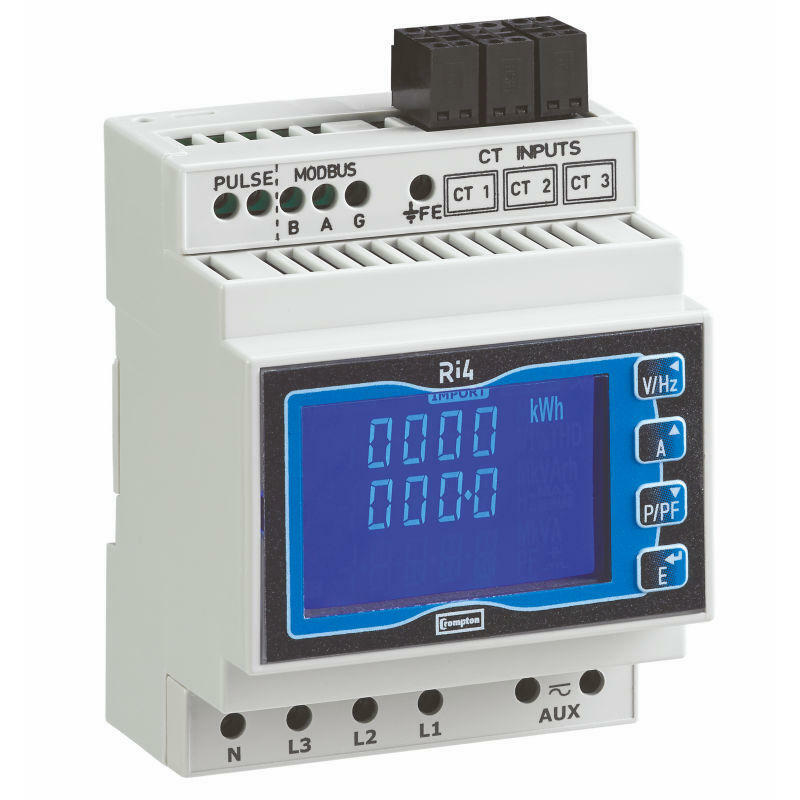 The Ri4 is a great value 4 module wide, DIN Rail mountable, Current Sensor connected electricity meter from Crompton Instruments. The Current Sensor outputs a proportional voltage which can travel over 50m to the meter and is ideal for reading circuits that you cannot get close to. 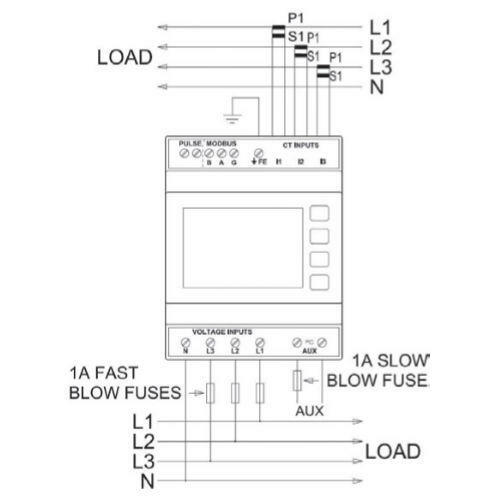 This meter has been designed to be used for both 3 phase and single phase supplies. It also comes with a phase sequence test option for checking correct installation of CTs. A significant feature of this unit is the reset function which will restart all Energy (kWh) and Reactive Energy (kVArh) readings from 0 following password entry. 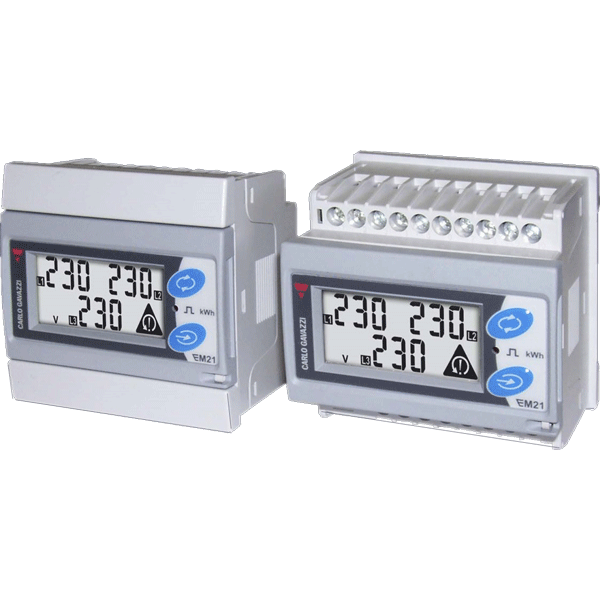 The back lit LCD display presents import & export Energy (kWh), import and export Reactive Energy (kVArh), Power (kW), Reactive Power (kVAr) and Apparent Power (kVA). 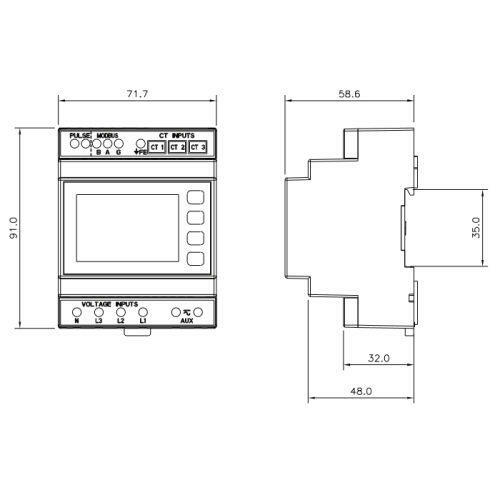 System Power Factor (PF) and Frequency (Hz) are also measured. In addition, the Ri4 records a number of peak values, these are Line Current (I), Neutral Current (I) and Active Power (kW). 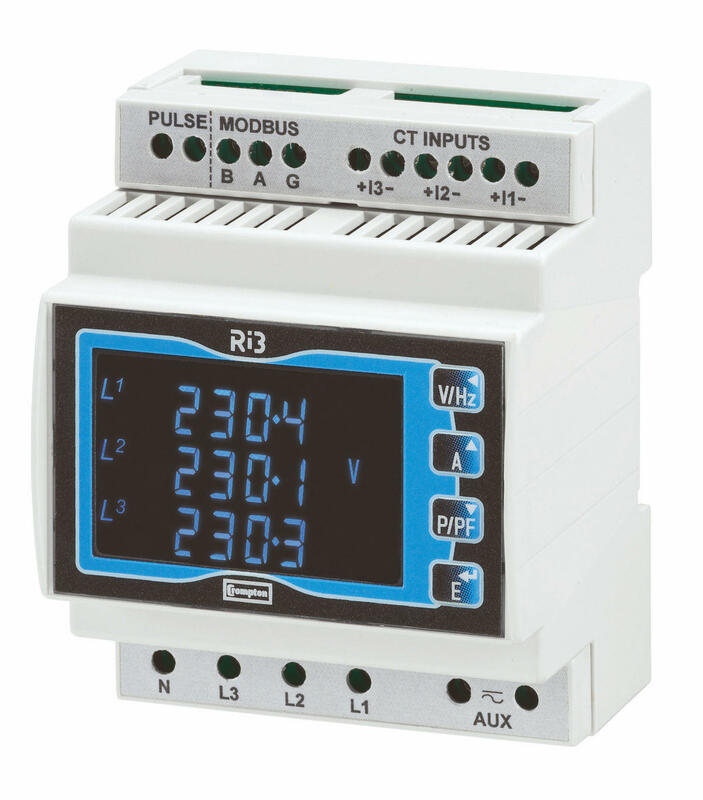 The Ri4 comes with an integrated RS485 Modbus and a semi programmable pulse output.